If you plan on taking the Metro around the D.C. area this weekend, you may be waiting a little longer than usual. WMATA is planning track work (sigh) on most of it lines and will close the Greenbelt station on Saturday and Sunday. If you really want to plan ahead, check out the changes coming your way with next week's testing of the Silver Line. 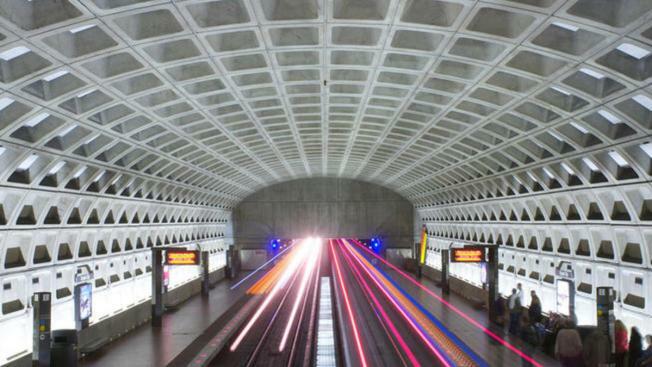 For this weekend, all Metro trains, except on the Yellow Line, are facing delays -- read on the for the full rundown. Red Line: Trains will travel every 10 minutes between Grosvenor and Silver Spring on Saturday and Sunday from 9 a.m. to 9 p.m. Between Shady Grove and Glenmont stations, trains will run every 15 minutes. Orange Line: Trains are slated to run every 22 minutes on Friday after 10 p.m. and all day Saturday. On Sunday, trains will operate between Vienna and New Carrollton every 24 minutes and between East Falls Church and Stadium-Armory every 12 minutes. Blue Line: Riders can expect trains every 22 minutes on Friday after 10 p.m. and throughout Saturday and 24 minutes at Franconia-Springfield and Largo Town Center on Sunday. Trains will also run every 12 minutes between Rosslyn and Largo Town Center (trains will be labeled, but operating as Orange Line trains) on Sunday. Green Line: Trains will run every 12 minutes -- a normal weekend schedule -- between College Park and Branch Avenue. Yes, Greenbelt station will be closed -- but there will be free shuttle buses to replace the trains, which should take about 15 minutes of travel time. Work begins Friday at 10 p.m. and will continue through closing time on Sunday. For more information, visit Metro on the web or call (202) 637-7000.